Even though the market continues to develop innovative broadband, competition in the market has remained dull. Competitors do not aggressively seek to increase their market shares and revenue, hence, first-mover Mascom, continues to dominate the market. Between 2014 and 2016, Mascom owned close to 55% of the market, while Orange owned around 28% and beMOBILE 17% on average. 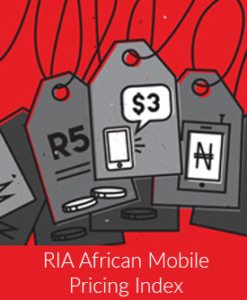 Botswana’s mobile operators have become comfortable in their respective market segments at the cost of competition. A national broadband policy is further required to enhance the sectoral benefits and knock-ons effects of trends in the ICT sector and their adoption by end-users.